1. 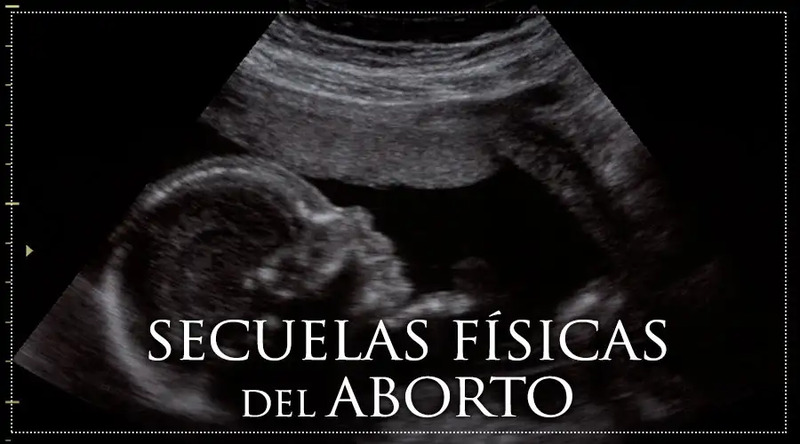 Una excelente fuente de información para cualquier abogado interesado en lo referente a la negligencia en la práctica del aborto es Thomas Strahan's Major Articles and Books Concerning the Detrimental Effects of Abortion (Rutherford Institute, PO Box 7482, Charlottesville, VA 22906-7482, (804) 978-388.). 2. Kaunitz, "Causes of Maternal Mortality in the United States," Obstetrics and Gynecology, 65(5) May 1985. 3. H.L. Howe, et al., "Early Abortion and Breast Cancer Risk Among Women Under Age 40," International Journal of Epidemiology 18(2):300-304 (1989); L.I. Remennick, "Induced Abortion as A Cancer Risk Factor: A Review of Epidemiological Evidence," Journal of Epidemiological Community Health, (1990); M.C. Pike, "Oral Contraceptive Use and Early Abortion as Risk Factors for Breast Cancer in Young Women," British Journal of Cancer 43:72 (1981). 4. M-G, Le, et al., "Oral Contraceptive Use and Breast or Cervical Cancer: Preliminary Results of a French Case- Control Study, Hormones and Sexual Factors in Human Cancer Etiology, ed. JP Wolff, et al., Excerpta Medica: New York (1984) pp.139-147; F. Parazzini, et al., "Reproductive Factors and the Risk of Invasive and Intraepithelial Cervical Neoplasia," British Journal of Cancer, 59:805-809 (1989); H.L. Stewart, et al., "Epidemiology of Cancers of the Uterine Cervix and Corpus, Breast and Ovary in Israel and New York City," Journal of the National Cancer Institute 37(1):1-96; I. Fujimoto, et al., "Epidemiologic Study of Carcinoma in Situ of the Cervix," Journal of Reproductive Medicine 30(7):535 (July 1985); N. Weiss, "Events of Reproductive Life and the Incidence of Epithelial Ovarian Cancer," Am. J. of Epidemiology, 117(2):128-139 (1983); V. Beral, et al., "Does Pregnancy Protect Against Ovarian Cancer," The Lancet, May 20, 1978, pp. 1083-1087; C. LaVecchia, et al., "Reproductive Factors and the Risk of Hepatocellular Carcinoma in Women," International Journal of Cancer, 52:351, 1992. 5. S. Kaali, et al., "The Frequency and Management of Uterine Perforations During First-Trimester Abortions," Am. J. Obstetrics and Gynecology 161:406-408, August 1989; M. White, "A Case-Control Study of Uterine Perforations documented at Laparoscopy," Am. J. Obstetrics and Gynecology 129:623 (1977). 6. D. Grimes, et al., "Prevention of uterine perforation During Curettage Abortion," JAMA, 251:2108-2111 (1984); D. Grimes, et al.,"Local versus General Anesthesia: Which is Safer For Performing Suction Abortions?" Am. J. of Obstetrics and Gynecology, 135:1030 (1979). 7. K. Schulz, et al., "Measures to Prevent Cervical Injuries During Suction Curettage Abortion", The Lancet, May 28, 1983, pp 1182-1184; W. Cates, "The Risks Associated with Teenage Abortion," New England Journal of Medicine, 309(11):612-624; R. Castadot, "Pregnancy Termination: Techniques, Risks, and Complications and Their Management," Fertility and Sterility, 45(1):5-16 (1986). 8. Barrett, et al., "Induced Abortion: A Risk Factor for Placenta Previa", American Journal of Ob&Gyn. 141:7 (1981). 9. Hogue, Cates and Tietze, "Impact of Vacuum Aspiration Abortion on Future Childbearing: A Review", Family Planning Perspectives (May-June 1983),vol.15, no.3. 68(5):668-690, (1986); S. Duthrie, et al., "Morbidity After Termination of Pregnancy in First-Trimester," Genitourinary Medicine 63(3):182-187, (1987).